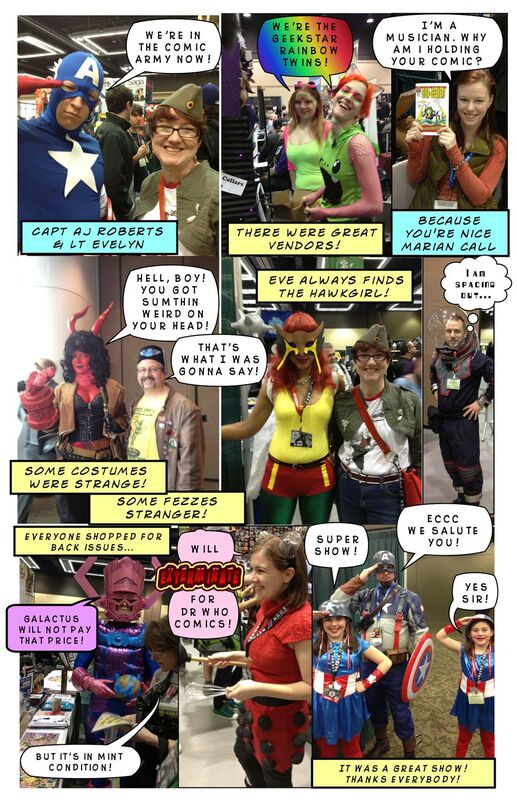 Your experience of ECCC may have varied. Evelyn and I had a fantastic time. We dressed up as Doctor Strange and the Scarlet Witch. We met lots of great comics people. Saw tons of vendors we know and love. The show sold out all 3 days. I heard people say there were 20,000 people there. I think I bumped into at least 10,000 of them. Sorry about that. May put up some more personal pictures later, or on Facebook. So much Geeky energy gives me all sorts of Geeky ideas. Thanks to everybody who worked so hard to put on the show, to show things at the show, to attend the show. It really is a very friendly group of people. 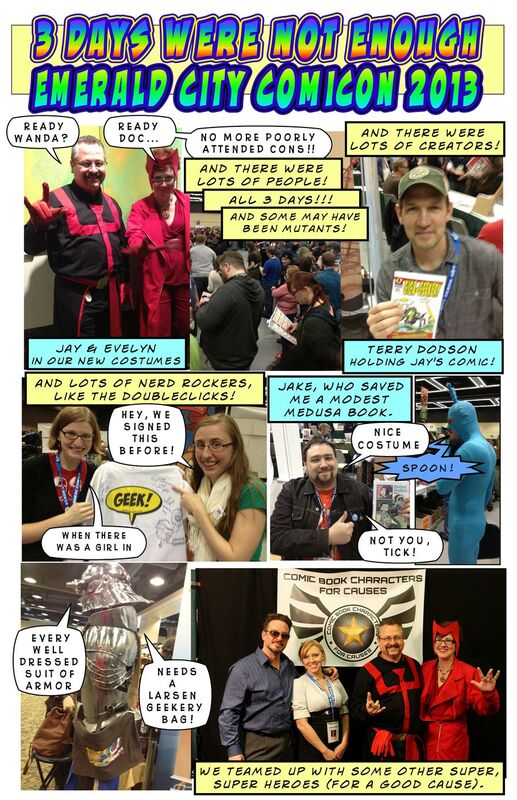 ECCC 2013 was a Huge Success!